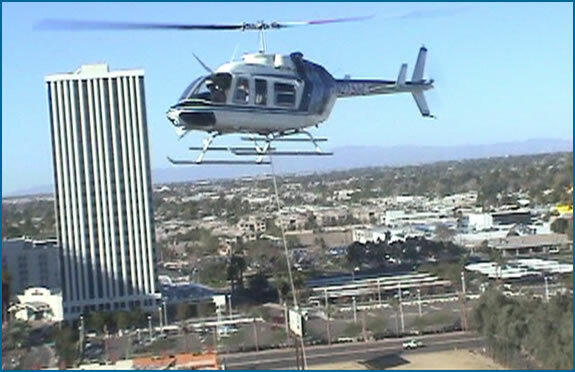 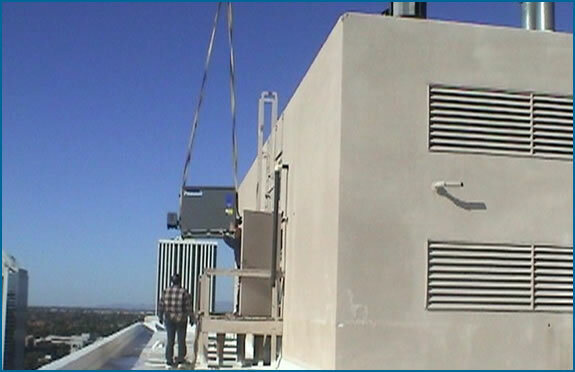 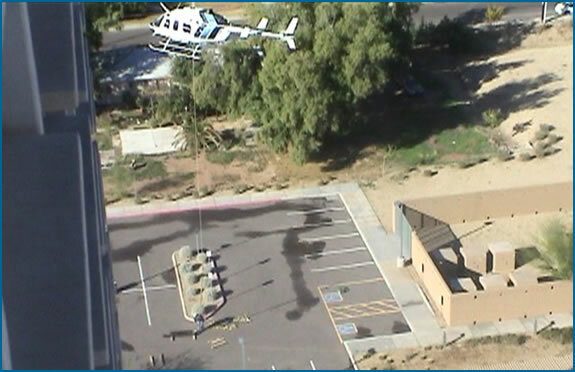 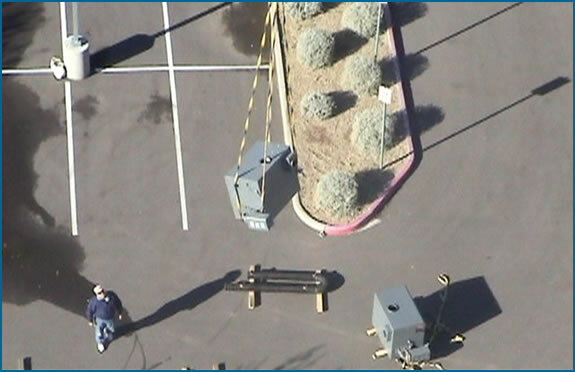 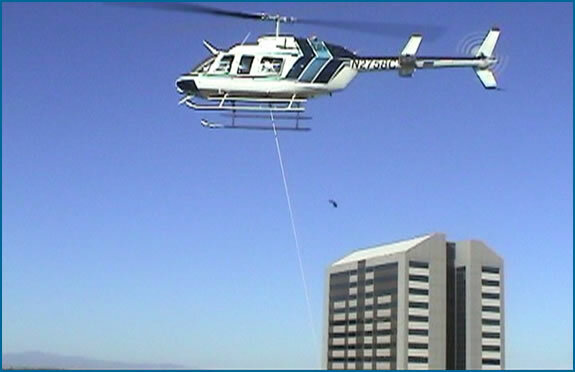 Photos show placement of (3) Laars Pennant series 750,000 BTU/h Hydronic Heating Boilers via helicopter to Fellowship Towers in downtown Phoenix. 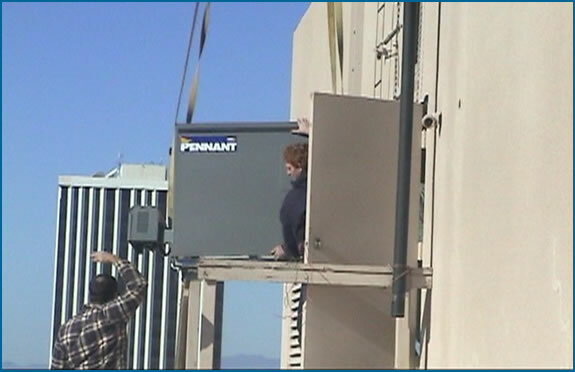 Installation by W.J. 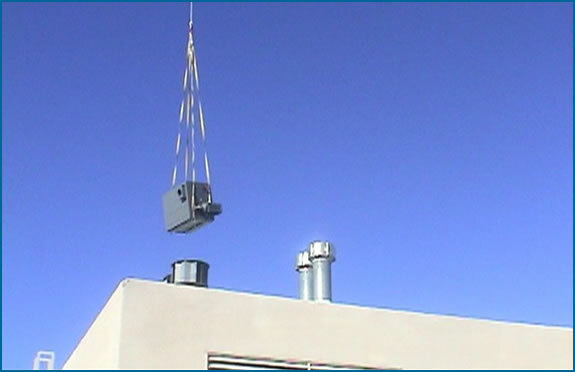 Maloney Plumbing.